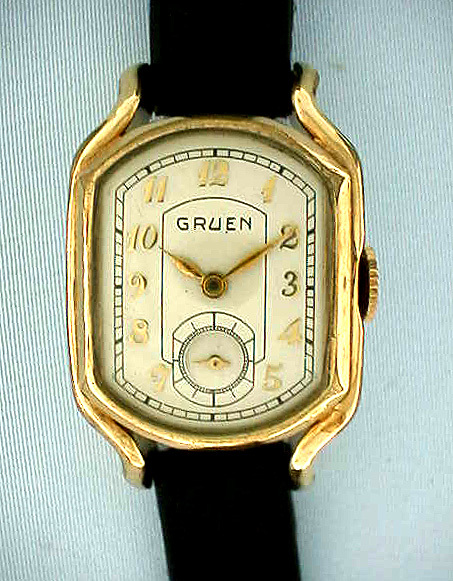 Attractive Gruen gold filled driver's vintage wrist watch circa 1940. Nicely refinishedcream dial with applied gold numerals. 15 jewel calibre 440 movement.The watch is curved to fit on the side of the driver's wrist for easy viewing while driving.The gold is worn through on the high spots.